These designers create the best stylish outfits for our stars to flaunt their good looks and perfectly shaped body on ramp. Here are some examples of designers and actors who compliment each other on ramp and surprise the audience. Kareena Kapoor looks fab in Manish Malhotra’s elegant designer sarees and she totally belives in his designs like any other actress. 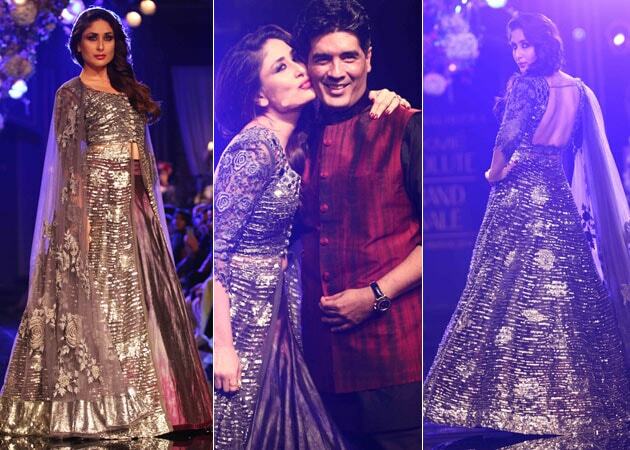 Manish is a good friend of Bebo and both have worked together for many bollywood projects and ramp shows. Masaba truly believe in Sonam as the actress herself is known as a fashionista first and then an actress. She believes Sonam can understand the true emotions behind a well designed outfit. Vidya as we all know is very fond of sarees and so who else can do a better job for her than Sabyasachi who is an expert when it comes to Indian ethenic wear. Rocky enjoys working with Bipasha because she is experimental and spontaneous with upcoming trends. Pria loves designing outfit for Katrina as she is beautiful, elegant yet simple. She stays away from taking much risk but looks best every time. Who can say a no to Sonam Kapoor and anamika appreciates her for taking risk and experimenting on various occasions. Shradha is comfortable working with Deepika as she carries every outfit very well. From elegant heavy traditional out fits to Dolce and Gabbana dresses. Neeta has worked with many actresses in the industry from a long time and yet one name she takes is Shilpa Shetty. They both had worked in Shilpa’s first movie and since then Shilpa is her favourite.